As in previous years, Conni and I will return to our much-loved Wings as she lies in her cradle at the Raiatea Carenage on the island of Raiatea, French Polynesia. As I write this, we plan to be in-country by the end of May. It should be cooler by then. Conni will be retired from her law practice by then, and we'll have more time to spend on the boat. I'll reach the milestone age of 70 this year (2019). We will have returned from our required trip out of French Polynesia to re-start our 36-month customs clock. 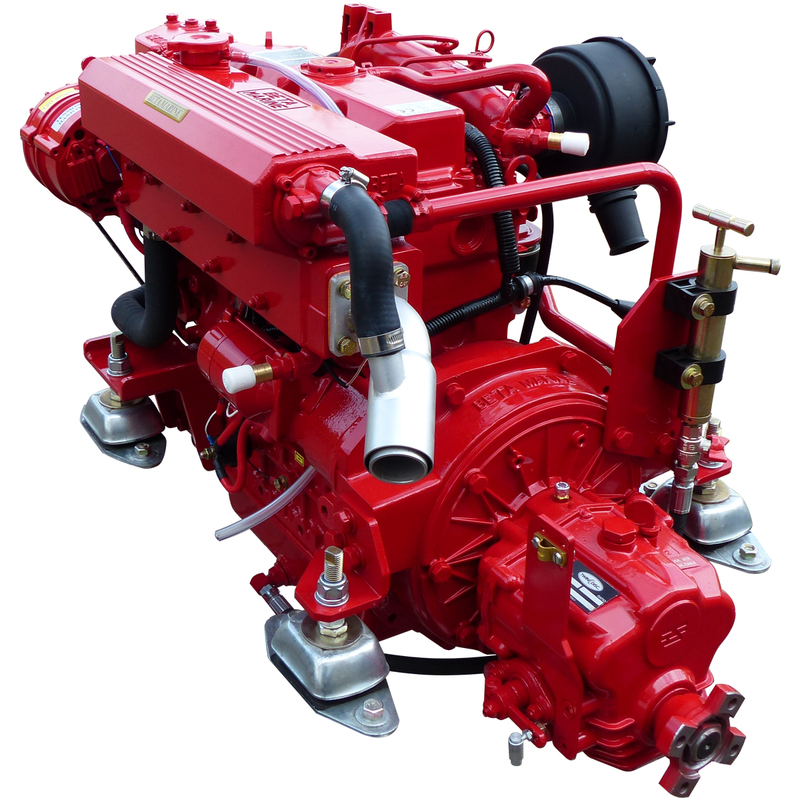 In addition, we'll be working hard to help replace the aging and difficult to repair NanniDiesel engine with a new Beta 50HP engine. The Beta is a Kubota tractor engine that's been modified for the marine enviornment. We've been working on this project for two years and will reap the harvest of our pre-planning. We can't guess what else we might do this season since neither Conni nor I can see past the repowering process. In coming seasons, though, we'd like to visit some other island groups and with a new engine, we'll feel safe enough to risk the longer voyages. Our new Beta 50HP has 50HP (as compared to our current 38-year-old 42HP engine) at 2800 RPM. The engine is naturally aspirated, meaning that it has no turbocharger to repair. The engine weighs 573 pounds with the new transmission. Here's a photo of an identical Beta 50. We'll install new, custom-fabricated motor mounts, too.